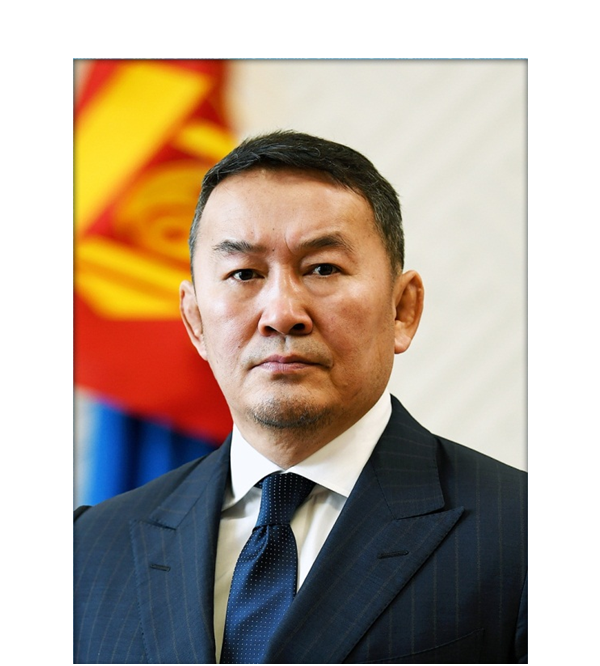 President of Mongolia Khaltmaagiin Battulga is being on a visit to Qingdao, China, to attend the Plenary Session of the 18th Meeting of the Council of Heads of Member States of the Shanghai Cooperation Organization. 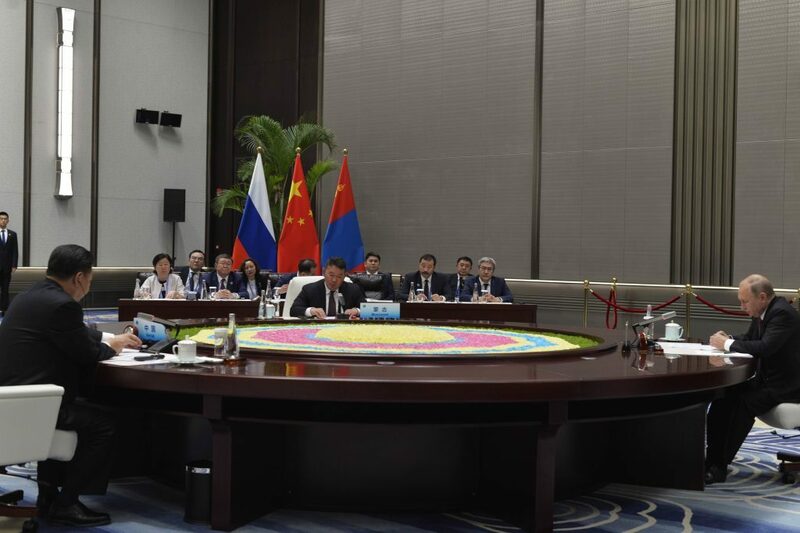 On June 9th, President Battulga took part for the first time in the Tripartite Meeting of Heads of State of Mongolia, Russia and China. In the beginning of this meeting, President of the People’s Republic of China Xi Jinping expressed gratitude to President of Mongolia Khaltmaagiin Battulga for his attendance in the meeting. Good day to You! I am grateful that this Tripartite meeting is taking place for the fourth time. 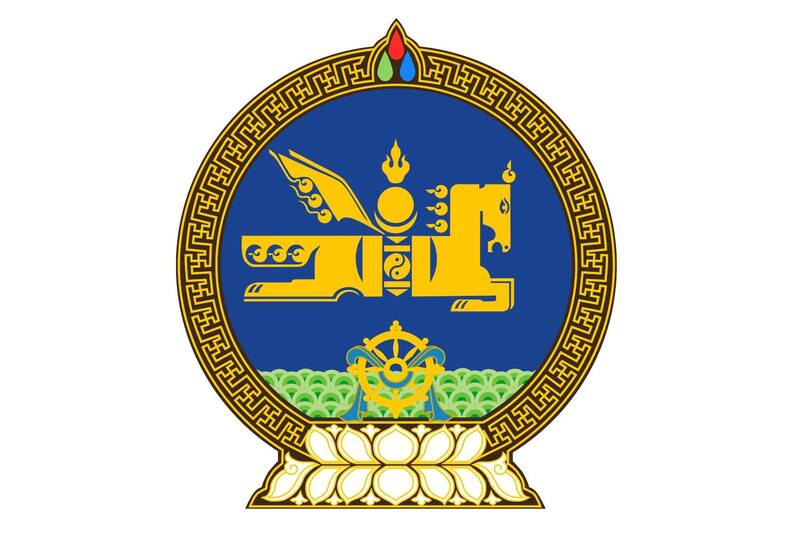 I would like to underline that deepening and strengthening good-neighborly friendly relations with Russia and China, our eternal neighbors, is a priority of our foreign policy, and that Mongolian side is satisfied with the progress of implementation of this priority area of foreign policy, having witnessed it reaching the level of strategic partnership. I am grateful for the opportunity to attend the regular tripartite meeting of heads of state and share views on ways to deepen the trilateral ties. It has been two years since the signing of these important documents. Now is the time to focus on putting them into action. Therefore, I wish we exchange our positions and reach agreements on the following issues. I believe we will not step back from the negotiations about to be made today. It is necessary to sign the ‘Memorandum of Understanding on the Establishment of a Joint Mechanism to Advance the Development of the Economic Corridor’ in the near future. Only the establishment of a joint mechanism will intensify trilateral dialogue and exchange of information, thus accelerating the implementation of the program. 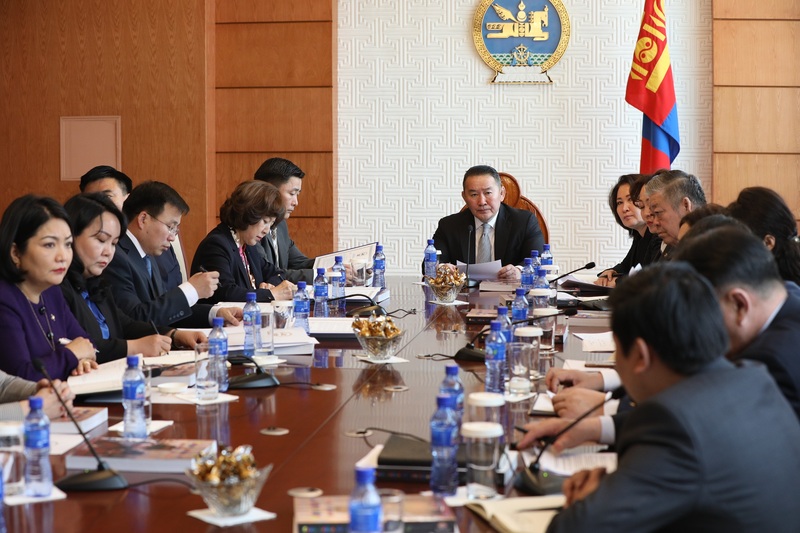 There is a need for more efforts directed at realizing the priority projects within the Economic Corridor program, such as the development of the Central Railway Corridor and utilization of the Asian Highway – 3 route of the Asian Highway Network and building of a highway along this route. Especially in this regard, I suggest that the Asian Highway – 3 project finance be settled and the construction work commence in the near future with equal and direct representation and participation of the Governments of the three countries. The Ministries in charge of road and transport can negotiate the terms on the ratio of trilateral participation and type of finance. I am confident that the three parties’ ratification of the ‘Intergovernmental Agreement on International Road Transport along the Asian Highway Network’, which will enter into force soon, will create conducive environment for the construction of the highway in the near future. Let me express my view that the establishment of the Joint Investment Planning Center should be a priority so as to conduct a comprehensive study on the projects within the Economic Corridor program and improve the economic feasibility study. I propose that a meeting of Transport Ministers of Mongolia, Russia and China be held in scope of preparations for the meeting of heads of state and to regularize this mechanism, considering its importance in the successful implementation of infrastructure projects. Tourism is a sector offering wide opportunities for trilateral cooperation, and I am pleased with the level of attention paid by the three countries on the revival of the Tea Road. I would like to call for Your attention on putting Mongolia on the route of the 2019 Silk Way Rally. I hope that Your sides will favor Mongolia’s proposal to be included in the Russian-Chinese gas and oil pipeline route, which the Mongolian side has put forward repeatedly. There are open possibilities how cooperation between our three neighboring countries can yield tangible results. 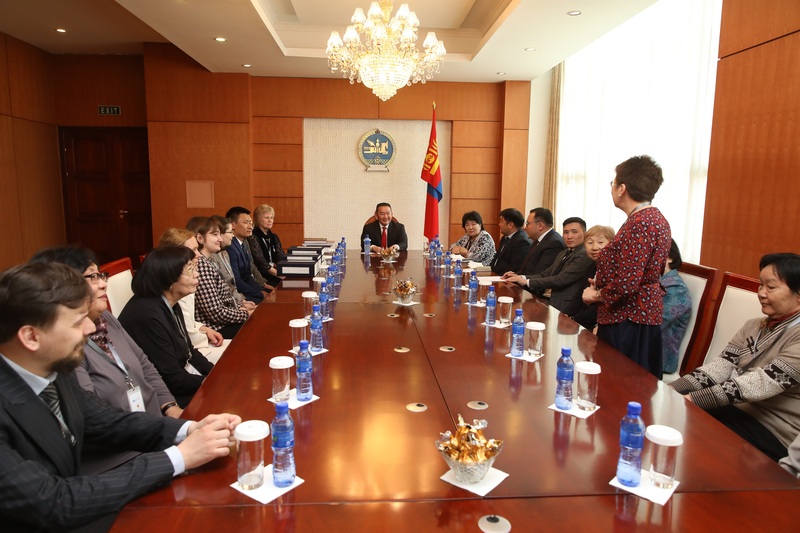 The people of Mongolia expect solid outcome from Mongolia-Russia-China cooperation, which has been at the level of dialogue for many years. Therefore, I am ready to work closely and actively with President Vladimir Putin and President Xi Jinping towards productive trilateral cooperation. To reach this goal, I propose to instruct the corresponding organizations of the three countries to practice consistency, punctuality and coherence in their cooperation and ensure efficiency through supervision. 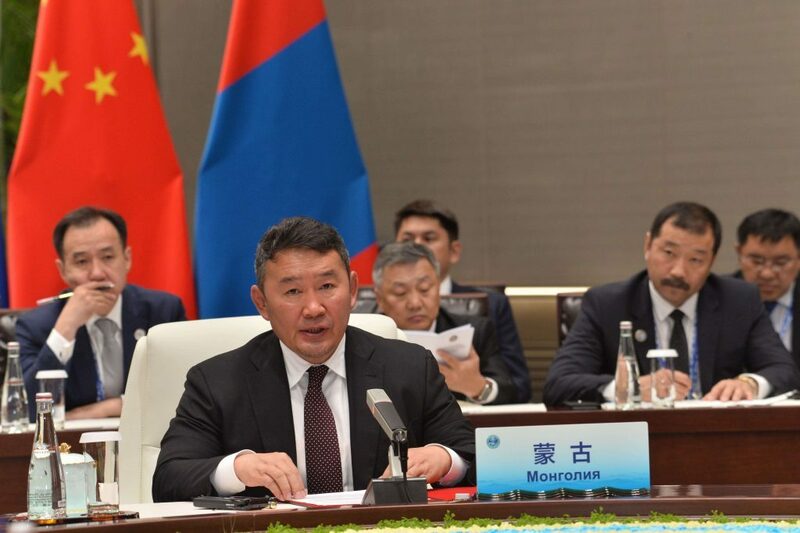 Mongolia is studying the possibility to upgrade the level of its participation in the Shanghai Cooperation Organization and has launched a public discussion on this matter. 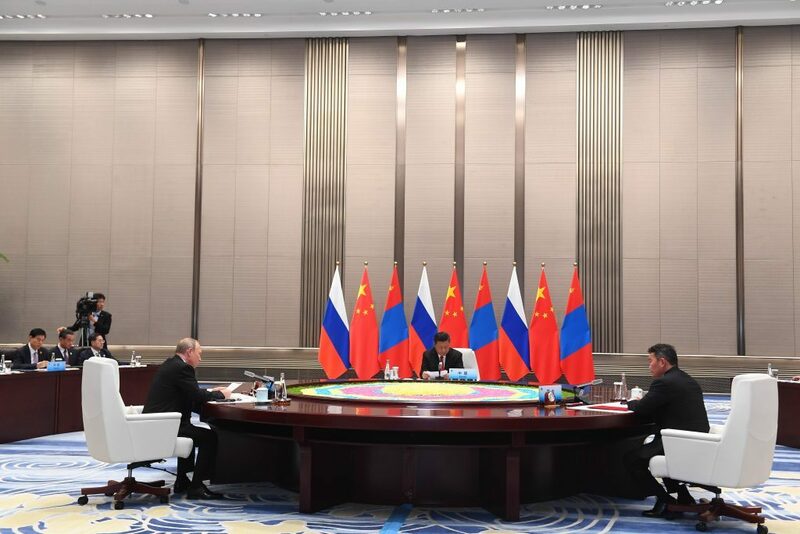 The Mongolian people are confident that the Mongolia-Russia-China Economic Corridor program will be realized even within the Shanghai Cooperation Organization, which plays an important role in multilateral cooperation in the region. 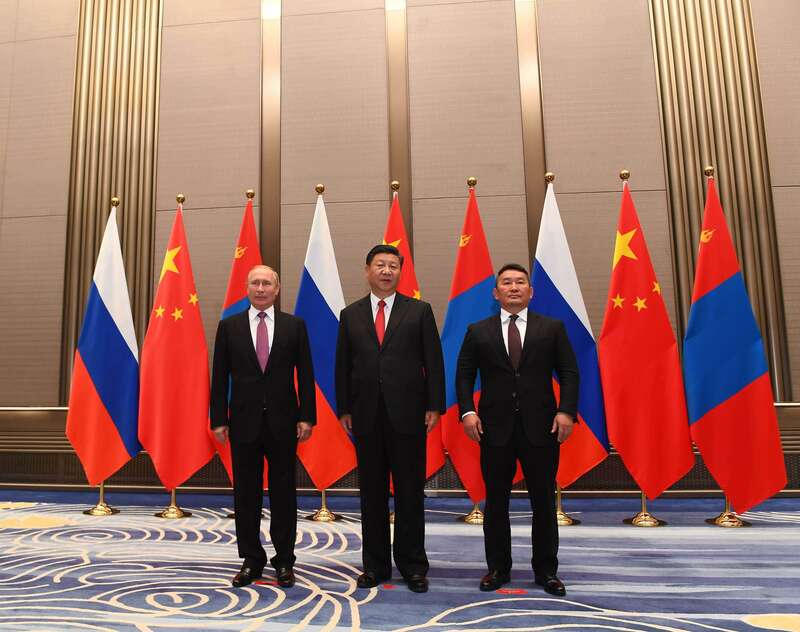 President Xi Jinping cited “strengthening of trilateral cooperation through the Shanghai Cooperation Organization” during the 2015 Tripartite meeting in Ufa and the 2016 Tripartite meeting in Tashkent. I am sure that President Vladimir Putin is in agreement.